Taking the SAT or ACT offers the chance to prove what you know. 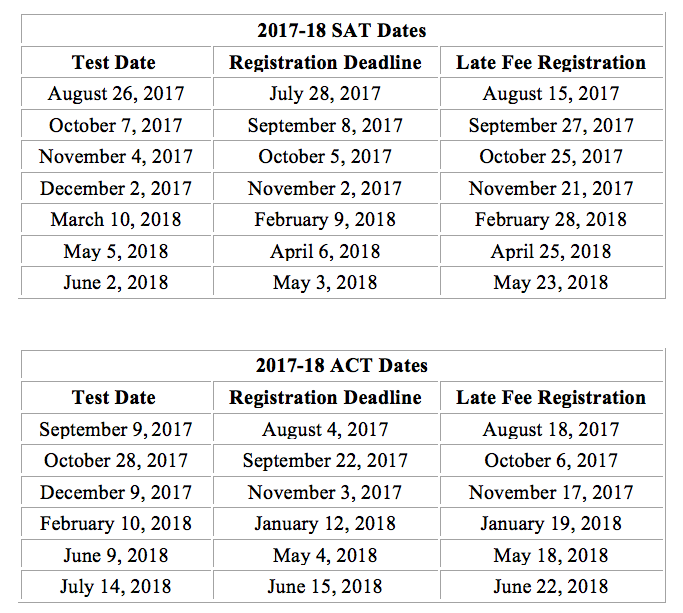 Students should take the SAT or ACT in the spring of their junior year, and if they choose, they can take it again in the fall of their senior year. This allows plenty of time to receive scores before college applications are due. 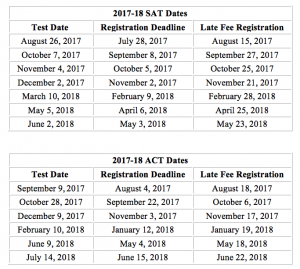 Visit the CollegeBoard website to sign up for the SAT, take a practice test, or for more information. Visit the ACT website to sign up for the ACT, take a practice test, or for more information. If you think that you may be eligible for a fee waiver, please visit the College & Career Center.